In 1300, the Carmelites came to Loughrea and lived here until 1618. A new order arrived in 1643, though the abbey by now was almost destroyed. In 1672, Loughrea abbey was formally designated a Carmelite priory and noviciate. The remains of General St Ruth, commander of some of the Jacobite forces at the 1691 Battle of Aughrim, are said to have been interred here. A new church was completed in 1820, and almost completely rebuilt in 1897. 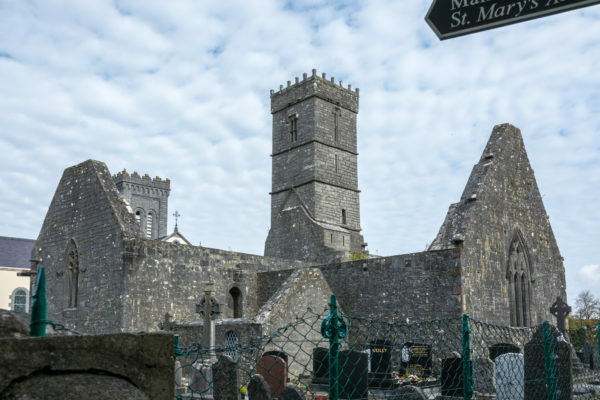 The existence of the ‘new’ abbey beside the medieval ruin bears testimony to an almost continued presence of Carmelites in Loughrea since the 1300s.